It’s fun and inspiring to watch TV shows about home design and remodeling – everything from the latest looks in countertops to whole-house remodels. And YouTube and other online video sites are chock-full of helpful how-to’s and demos to assist homeowners through countless do-it-yourself projects. There are relatively simple home projects that can be completed by DIYers, such as hanging pictures, interior painting, caulking, and changing door knobs and cabinet pulls. And homeowners with the correct tools and a higher skill level should be able to tackle some aesthetic work such as installing crown molding. But it’s also important to know when to stop and hire a professional. Remodelers can tell you lots of funny stories about siding installed upside down – and sometimes scary stories involving do-it-yourself electrical wiring gone awry. So before you start your next remodeling project, read these tips to make sure it’s a hit. Know the full scope of the project. How much free time do you have to work on this project? How long will the project take? What if it doesn’t work? What’s your Plan B if you’re unable to accomplish a part of the project? Is your safety at risk? Do you know everything you need to know to complete the project safely? Create a budget & know where the money is coming from. Before you hire a contractor or start buying materials, take a look at your finances and put together a realistic budget for your project. Costs of each project can vary widely depending on the types finishes you select … what you want and what you can afford may be different. You don’t want to get halfway into a project and realize that you spent all your money on granite countertops and don’t have money for the new fridge you planned on. Do you have $8,000 or $25,000 to spend on a new kitchen? Once you have a budget, then you need a plan for where the money will come from. Do you have the money in savings? Are you using credit cards? Do you need financing from a bank or credit union? For larger additions or remodeling projects a loan may be appropriate. Any project that adds value to your house may be eligible for financing. If financing is the route you’re considering, be sure to talk to your banker BEFORE hiring a contractor. Be prepared for noise and mess. Living in a construction zone can be challenging for everyone in the household. If you’re tackling a DIY project, how long are you prepared to live in a construction zone? How much will it affect your family? Usually DIY projects take longer to complete because you’re trying to fit it in among your work and family commitments. When hiring a contractor, be sure to have a conversation with anyone working in your home to establish boundaries and set a schedule. Establish an open line of communication with your contractor and ensure you’re in agreement on the project timeline and work hours. If a contractor is working to finish the project by a tight deadline, that may also mean they may be working nights or weekends, which can cause added stress on the household. The worst phone calls we receive at the Chippewa Valley Home Builders Association are from homeowners who hired a contractor for a project that turned into a disaster. The contractor took their money and then didn’t finish the project or made so many mistakes the homeowner had to hire a different contractor to fix them. You want to make sure that the person you’re hiring is a professional, but how do you know? If they are a builder/contractor they should have a Dwelling Contractor license from the State of Wisconsin. The state requires each business to hold this license and the individual who pulls the permits must take 12 hours of continuing education every two years. You can look up Wisconsin licenses at app.wi.gov/licensesearch. Or call our office at (715) 835-2526 and we can look them up. If they’re asking you to pull building permits, then that’s a good sign that they don’t have a contractor license. They should have business insurance and be able to provide you proof of their insurance. Check references – ask for three to five references and CALL them. Ask questions related to the contractor’s communication, if the project was finished in budget, if the project was completed on time ,and anything else you want to know. The cheapest quote isn’t always the best option. Be sure you do your research before selecting a contractor. When you select the contractor for your project, make sure that you have a signed contract BEFORE any work begins. 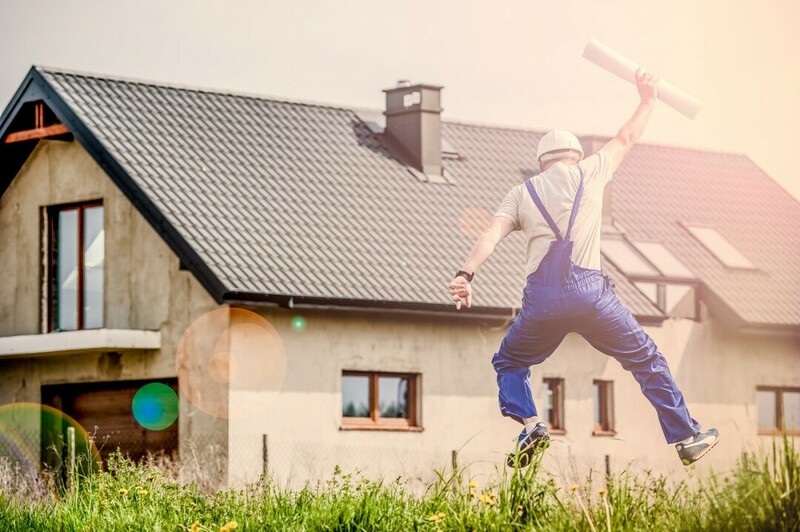 This contract is a protection for you, the homeowner, and the contractor to make sure you are both agreeing to the terms and the scope of the project. It should outline the key project details, cost, timeline and any pertinent information. It’s common for a contractor to ask for a down payment of 20 percent to 50 percent. Never pay for a project in full at the start of the project and make sure the contract states that final payment is due upon completion and your satisfaction. We also encourage homeowners to pay with check or credit card so there’s a record of the transaction. Starting any remodeling project is an exciting time as you consider what your home will be like once it’s finished. By following these five tips you’ll be better prepared to make sure your next home remodeling project is a hit. For more information or assistance on starting your project, or to get a list of area professionals, please contact the Chippewa Valley Home Builders Association at (715) 835-2526 or cvhomebuilders.com.